Solid as a rock. Not a game. - Support for 120 Hz iPad Pro displays for super smooth scrolling and waveforms. IT LOOKS AND FEELS SO AWESOME. 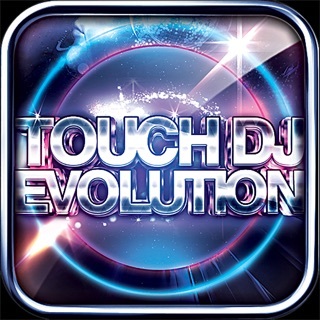 - Support for 120 Hz iOS touch input for lower touch latency (on devices where available). 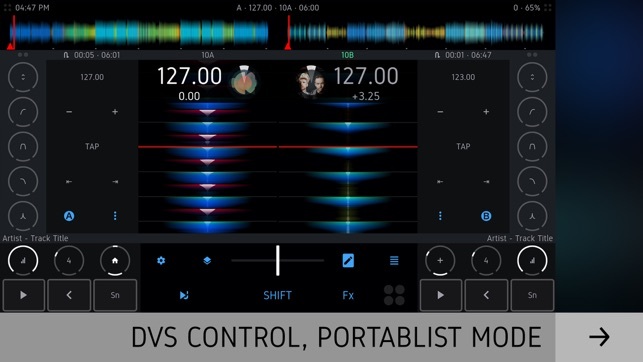 - The track browser can be simultaneously displayed with DJ controls on large screens: in portrait orientation on iPads and all orientations on 12+ inch iPads. - Sort by date (requires iOS 10 minimum). Available for all libraries, except Deezer. - Improved compatibility with third-party file browser apps, such as FileBrowser. - Status bar flashes when the master deck is near the end. - Reimplemented Ableton Link integration, no more strange "enable" screen. The app now remembers the enabled status of Ableton Link between launches. - 2x faster track analysis. On the latest iPad Pro loading and analyzing a 5 minutes long file takes less than 1 seconds. - Transients are more visible, especially when displaying the grid pane. - Automatic waveform zoom when the grid pane opens. Zoom resumes on grid pane close. - Modified reverb dry/wet curve. Until 33% dry is at full, only wet grows. - Better pitch shifting audio quality. - Improved scratch sound when using MIDI controllers. What I thought originally was a misbehaving app turns out to be a UI that gets blocked when the iTunes library is loading. Additionally the app does not support playlist folders, so my meticulously organized library is a giant list with no discernible order. 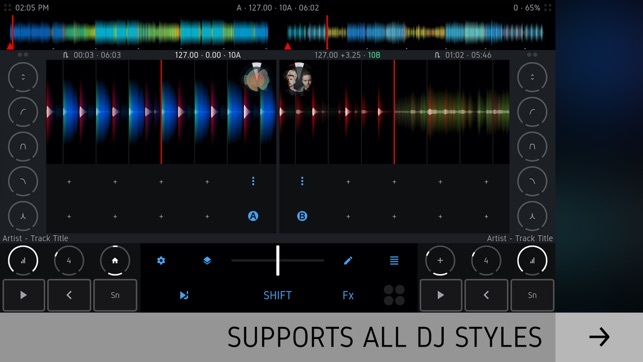 djay pro also has this issue, but apparently this doesn’t bother anyone else, just me. Beyond that, playback is smooth and support for external controllers and i/o options is top notch, well done! iTunes library loading should be pretty fast. How long does it load? Hands down nothing comes close to this. I’ve been a club and rave DJ for 21 years and this beats anything else. 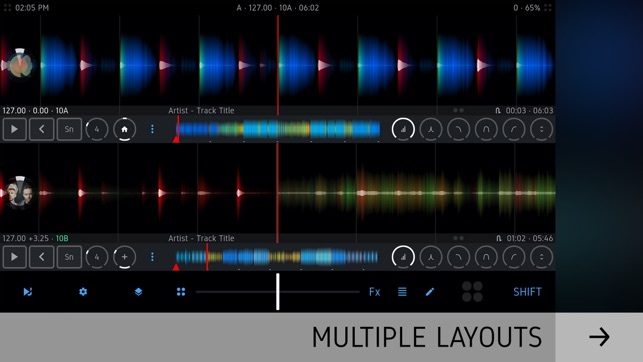 You can take any old midi mixer and map it to this software. Just incredible. 4 deck control. Flawless. Great community on slack and active developers that listen to users. Are you kidding me? So amazing! Crashes upon opening, since last update. Thanks for the crash fix, Devs!!! App is most impressive, with the 120hz display support... Been waiting since forever for that! Sorry for the bug and thank you for the review!